At ECars Auto Sales, we sell only the highest quality luxury used cars, trucks, and SUVs. We take pride in what we do and know it shows during the buying process. 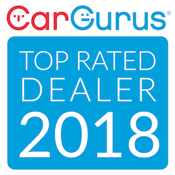 We are a Carfax Advantage Dealer and offer a free Carfax report on every car we sell. Please browse our inventory or stop by for a test drive!